Thila Raja grew up in Singapore and immigrated to Australia 16 years ago. Growing up in Singapore meant her accent was different to the Australian drawl and this initially lead to communication difficulties. This experience generated in Thila an interest in self-expression through voice and the power of communication through speaking. It highlighted for her the disadvantages that migrants face when they are not clearly understood. Thila studied to become a certified speech pathologist and is the director of Speak for Life, based in Subiaco. The second reason was more personal. In Singapore, as she was growing up, Thila’s brother had a severe stutter. She saw how his impaired speech affected all areas of his life. Back then, she vowed that she would help people who had difficulties in communicating so that they could achieve the best quality of life possible. Speech pathologists work with people of all ages and assist them with swallowing difficulties, stuttering, speaking, voice, accent coaching, and understanding and expressing themselves. 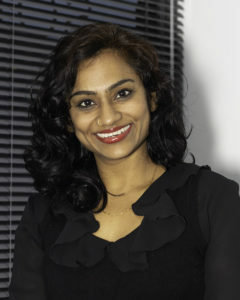 Thila specialises in voice and accent coaching. Accent coaching works by reducing the severity of pronunciation and intonation, thereby enabling a person to be more clearly understood. They learn how to pronounce certain words differently, to not be afraid to speak up, and to have confidence when speaking. Accent coaching does not remove a person’s accent. It improves articulation and pronunciation (e.g. clear distinction between words such as sheep and ship). Newcomers are often told they cannot be understood by the person they are talking to. This is a two-way communication problem. Misunderstanding occurs when the speaker talks too fast, has different pronunciations to the listener, and does not use enough pauses, inflection and intonation when they are talking. For the listener, problems in understanding occur if they have had limited exposure to talking with people different accents. They need to practice listening intently and being more patient. Thila has some advice for newcomers who are encountering problems being understood in conversations with others in Australia. Speak more slowly. When you’re learning a new language, faster isn’t better. Ask for feedback if someone says they don’t understand. It could be the meaning of the overall content or specific words that they did not understand. Speak a little louder – you may be talking too quietly. Speak with your natural accent, don’t try to remove it. Pay attention to pronouncing words clearly, especially past tense and plurals and sounds at the end of words (e.g. past tenses (ed) and plurals ( s/z)). Listen to the news and follow the way the newsreader speaks – SBS is a good example. Record yourself speaking, then listen to it and see if you can identify the errors in your speech sounds. speaking more slowly. Pay attention to your breathing. When you breathe more deeply you can slow down your speaking as well. asking the interviewer if they understood your answer. This gives you the chance to add more information, if needed. DO NOT speak quietly as the interviewer will have trouble understanding you. Keep your speech volume at a normal level. Do a practice mock interview with your friends or family to improve your confidence! for listeners to enable them to be more aware, learn active listening and gain exposure to different kinds of speakers. Most importantly, to practise listening with patience. for speakers to become more eloquent, to ask for feedback and gain confidence. The ability to communicate influences all aspects of our lives. Not being understood is a frustrating experience, as is not being able to understand the person speaking. It takes patience and practice from both the speaker and the listener. For newcomers, taking the time to work on pronunciation will result in clear communication. This translates into happier relationships and career progressions.